ADHD explained – Will you pay #AttentionUK ? 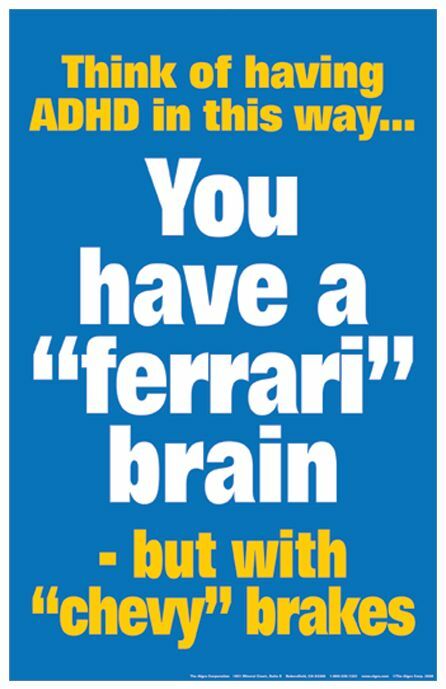 A: ADHD is the result of atypical brain development. There is no single cause for why someone’s brain might turn with the abnormalities and unique qualities that are linked to ADHD, just like there is no single cause for many physical traits such as hair thickness or body shape. However one thing that has a big impact on how a person’s brain develops is their genes. There is a strong genetic basis for ADHD, which overlaps with conditions such as autism and dyslexia. Chromosomal defects and neurodevelopmental genes are linked to ADHD . 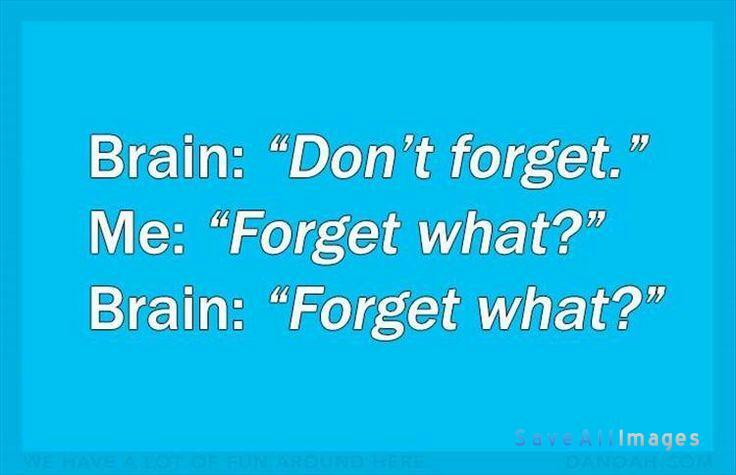 Q: How are ADHD brains different? There are consistent structural and functional brain changes , alterations to the dopamine system [6,7] and problems in the development of core brain processes related to arousal regulation, executive control and reward processing . In other words, they just work a bit differently. People with ADHD are still just as smart as everyone else, they’re just less good at some things and more good at other things. 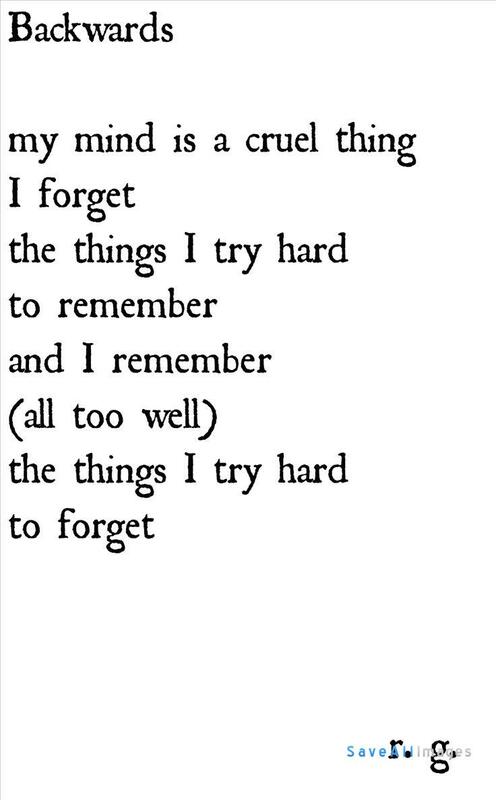 Q: What parts of someone’s life can ADHD affect? 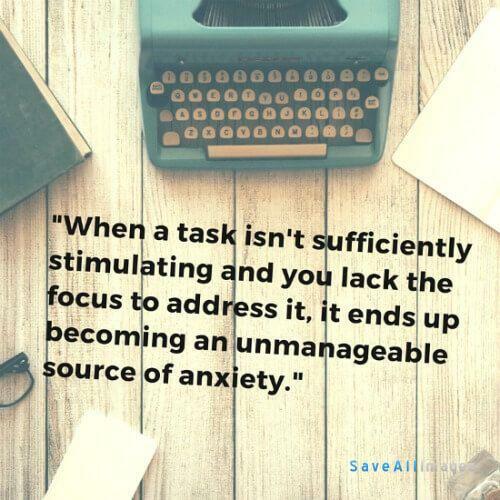 A: ADHD can be detrimental to many areas of life including work, daily activities, social and family relationships and psychological and physical well-being . Q: How prevalent is ADHD? Can adults have it? A: ADHD affects approximately 1 in 20 children and adolescents across Europe, with most cases persisting into adulthood . Prior to 1990, it was believed that children outgrew ADHD in adolescence, because sometimes hyperactivity seems to lessen in teen years. 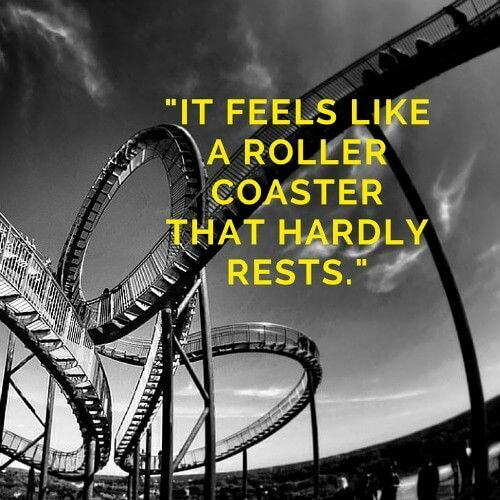 It is now known, however, that many symptoms continue into adulthood and hyperactivity is usually experienced as internal restlessness . Q: What percentage of adults have ADHD? A: Population surveys in adult populations estimate prevalence of ADHD in adults to be between 3 and 4% . ADHD in adults may go unrecognised or be misdiagnosed by mental health professionals . 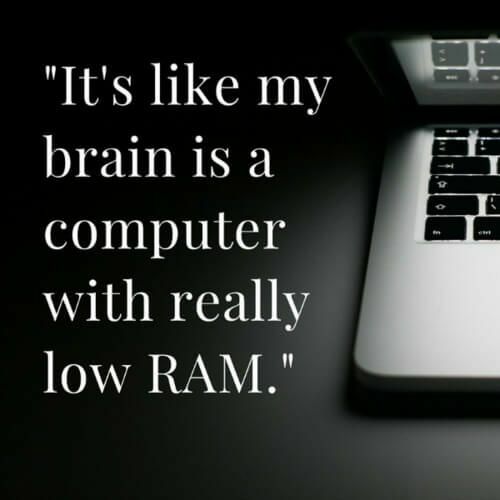 Q: How easy is it to get an ADHD diagnosis? A: For a diagnosis of ADHD, symptoms of hyperactivity/impulsivity and/or inattention should: meet the diagnostic criteria in DSM‑IV or ICD‑10 (hyperkinetic disorder), and be associated with at least moderate psychological, social and/or educational or occupational impairment based on interview and/or direct observation in multiple settings, and be pervasive, occurring in two or more important settings including social, familial, educational and/or occupational settings . In other words, unless it is causing you significant problems in at least two major areas of your life (usually at work/school and at home/wherever you spend the rest of your time), even if you do have the right symptoms, you don’t qualify for a diagnosis because they’re not causing you major impairment. Q: Is ADHD overdiagnosed in children in the UK? A: No. 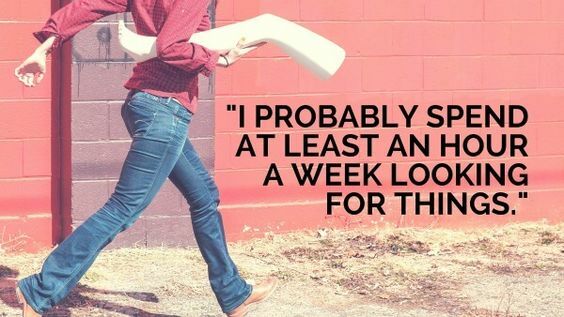 In fact, research has found that it is very underdiagnosed. For example, In a UK community sample, 74% children (5–11 years) who met ‘SDQ caseness’ criteria had not been recognised by their GP as having a mental health difficulty . Q: Is there enough support available for children with ADHD in the UK? A: No. In the UK, the British Child and Adolescent Mental Health Survey found that fewer than 1 in 3 young people with ADHD had seen a relevant health specialist . Q: Why is ADHD diagnosed more nowadays than it used to be? A: Because more people are aware of it. Many ailments are more frequently diagnosed now than previously, because we have better knowledge about them. In the past there were never fewer people with ADHD, in fact it’s the oldest mental health disorder that we have records of, it’s just that those people were unlikely to get their condition recognised and thus less likely to receive the support they needed. 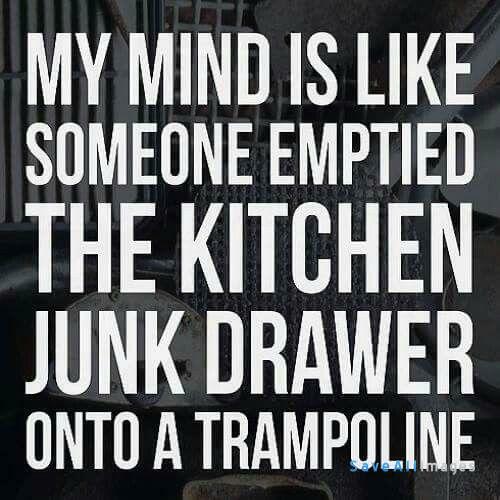 The same is true of many mental and physical health disorders. 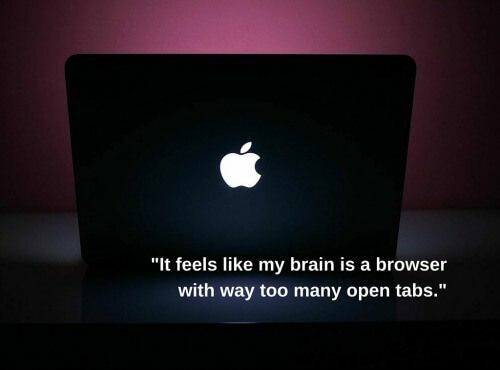 Q: Why don’t more people get diagnosed? Why does it often either get ignored completely or misdiagnosed as a different condition? Aren’t people trained about this kind of thing? The people who usually initiate referral for a disorder of this kind are often unfamiliar with ADHD and how it may present. For example, research has shown that 9 out of 10 GPs and Primary Care Practitioners do not feel adequately trained about ADHD, and it is extremely common for school teachers and GPs to have persistent misconceptions about ADHD and its management . It is difficult for people in the UK to be referred for an ADHD assessment because many GPs attitudes towards ADHD are based in its media portrayal, due to lack of training in this area. This means that they rely on stereotypes and misconceptions and as a result children with hyperactivity, but without additional behaviour problems, are likely to go unrecognised by GPs in the UK unless the parent specifically requests an ADHD referral . Further studies have found that even when parents do request a referral, GP scepticism regarding ADHD, and focus on parenting advice, often prevents discussion of children’s difficulties . Another problem is that people with ADHD may underestimate the extent of their own ADHD-related impairments due to a variety of psychological factors . This means that they are likely to assess their symptoms to be less severe and less impairing than they in fact are, and mean that they underreport their symptoms when it comes to various diagnostic tests and interviews. Q: How common is misdiagnosis? A number of adults being treated for coexisting mental health problems within general psychiatric services or who present directly to their GP have been found to have undiagnosed ADHD . A UK-wide survey of mental health in the population (Mental health and wellbeing in England: Adult Psychiatric Morbidity Survey 2014) has found that among people screening positive for ADHD, the types of psychotropic medication they are most likely to be taking were drugs for treating anxiety (23.8%) and depression (22.9%). Only 0.5% of adults who screened positive for ADHD were currently taking medication specifically indicated for ADHD (methylphenidate or atomoxetine) . Adults who screened positive for ADHD were more likely to have used every type of service asked about than those who screened negative . That means that adults with ADHD were much more likely to have gone to every mental health service available, asking for support to help them get to grips with their mental health, but only 0.5% of them were given medication appropriate to their disorder, whilst many more were taking medication meant for other disorders. Q: How does ADHD relate to other mental health disorders? Why do people with ADHD usually get misdiagnosed as having another condition? The trait-like characteristic of ADHD symptoms that start early in life and have a chronic persistent course, and the frequency of symptoms such as mood instability alongside core ADHD symptoms, can lead to mis-specification of the diagnosis, either as personality or minor affective disorders . There is a lot of overlap between ADHD symptoms and symptoms of other mental health disorders. These include personality disorders (which also feature ADHD symptoms including emotional instability, sensation-seeking, impulsivity, comorbid substance use, unstable relationships, chronic symptoms) and bipolar disorder (shared symptoms being inattention, restlessness, executive dysfunction, shame, emotional instability, sensation-seeking behaviour, impulsivity and comorbid substance use). It is not uncommon for people with ADHD to be misdiagnosed with personality disorder and for bipolar disorder and ADHD to be misdiagnosed as each other. 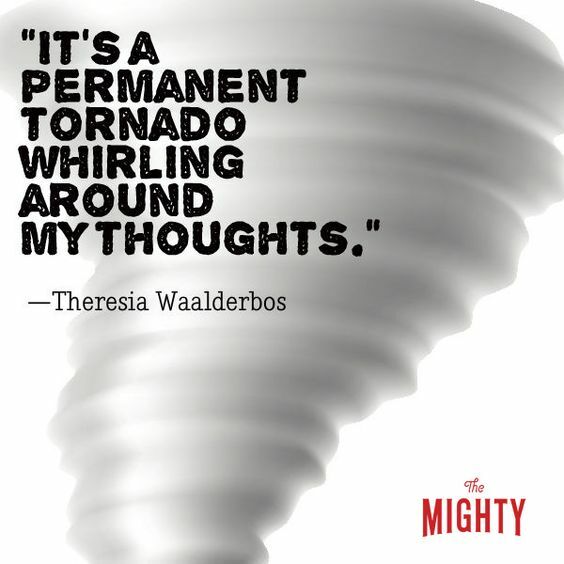 ADHD symptoms often include many of the symptoms suffered by people with anxiety. AADD-UK explain this very well: “Individuals with ADHD commonly report high levels of anxiety on rating scales. However, a more detailed enquiry about the psychopathology shows that in some cases the ADHD syndrome mimics some aspects of anxiety. Individuals with ADHD may have difficulty coping with social situations because they are unable to focus on conversations; difficulty travelling because they are unable to organise the journey; and difficulty shopping because they may become irritable waiting in queues and because they may forget things and be highly disorganised. 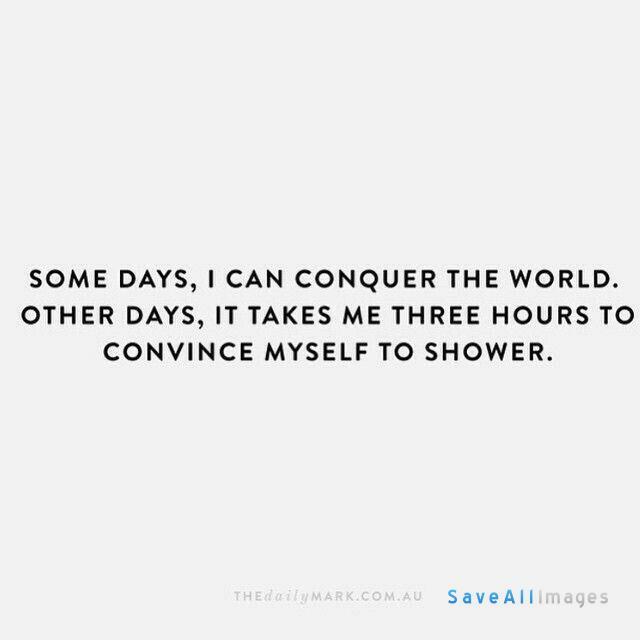 Problems with simple everyday tasks that most people take for granted are a source of considerable concern and are often accompanied by avoidance of stressful tasks and poor self-esteem” . Q: Is medication the go-to treatment? Do all children with ADHD get given medication? A: No. Medication is recommended only as a third-line treatment for children and young people and is only supposed to be used when the impairment is severe and other types of treatment have proved unsuccessful . Medication should always form part of a larger treatment plan that also includes psychological, behavioural and educational advice and interventions . There is no obligation to use medication in these scenarios and the decision always lies with the individual affected. Q: Is it safe to give children ADHD medication? A: It is no more or less safe than an asthmatic child using an inhaler or a diabetic child using insulin. Like all medications, ADHD medication can have side effects. 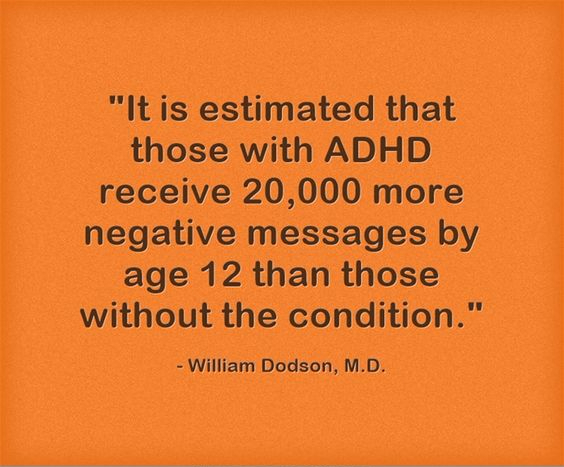 However, just like a broken leg, diabetes or asthma, leaving ADHD untreated can have much worse consequences. It’s also worth knowing that medication is only recommended for young people as a third line treatment for severe cases where other treatment isn’t an option or has proved insufficient . Q: How do we know people wont abuse the medication? ADHD medication is not addictive, whereas people with untreated ADHD are not only highly vulnerable to addiction, but also often end up resorting to using illegal drugs to self-medicate after discovering that these can help them to calm down and feel better. 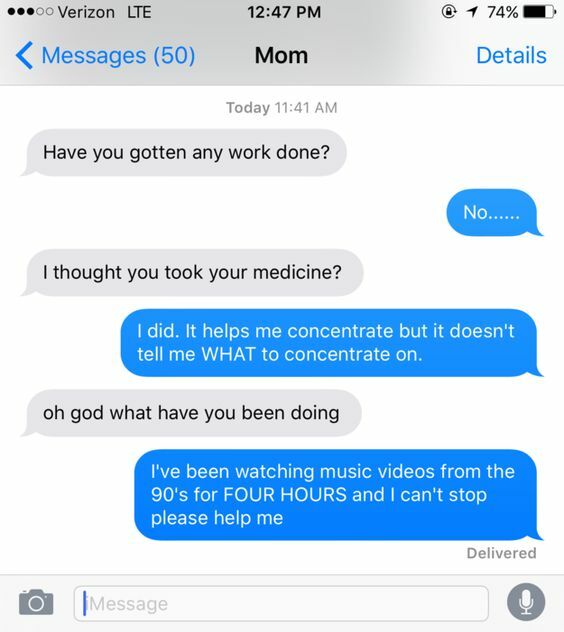 Medicating for ADHD has been shown to reduce substance abuse. It is extremely difficult to get hold of ADHD medications in the UK as they are ‘controlled drugs’ which means that they are very closely monitored. 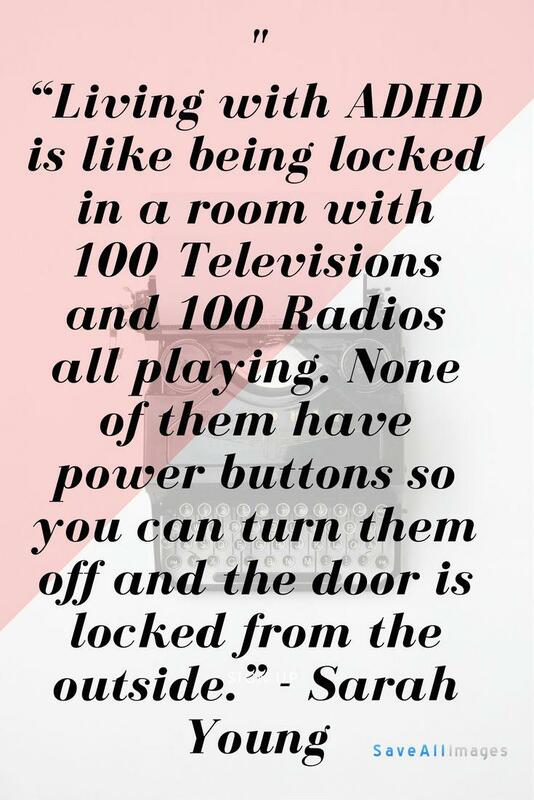 They’re only available to people with a diagnosis of ADHD and only supplied in small quantities so that the individual only ever has enough to get them through a few weeks before having to request a new prescription (you can’t get repeat prescriptions for controlled drugs). To collect their medication, individuals have to show identification, and there are a lot of rules about who can write the prescription and what the prescriber has to write. There are also rules about how the prescription can get from the prescriber to the pharmacy; prescriptions for controlled drugs can’t be sent electronically so need to be hand-delivered or posted directly to pharmacies with enough time for them to order in the medication from external suppliers and have it delivered. 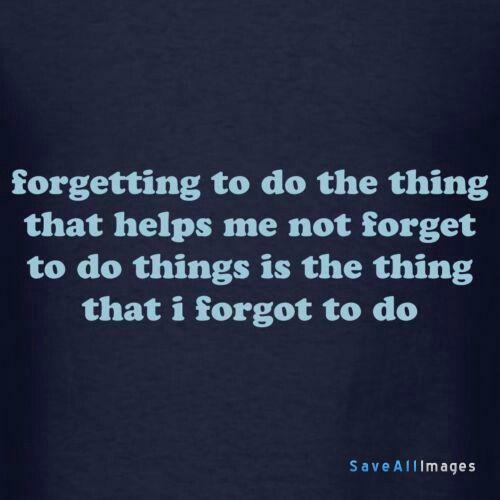 It’s actually quite ironic just how difficult and lengthy the process is given that people with ADHD struggle a lot with organisation and memory, making it much harder for them to manage their prescriptions in the first place. Q: Is ADHD a mental health disorder? A: Yes. 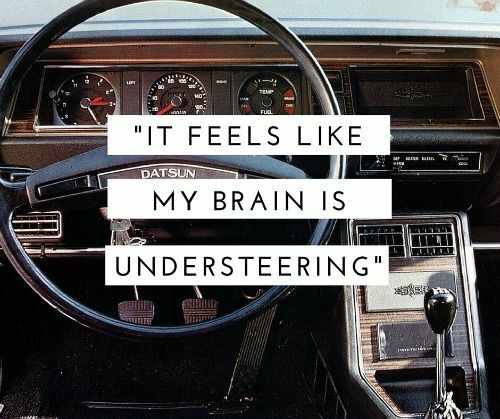 Sometimes people get confused and think it isn’t because it’s often referred to as a ‘neurodevelopmental disorder’. However, neurodevelopmental disorders are just one of lots of different types of disorders that can be mental health disorders. What are often called ‘serious and enduring mental disorders’ (including schizophrenia, psychotic disorders, bipolar affective disorder, depression with psychosis) in which the patient may hallucinate, hear things that aren’t there, find it hard to distinguish between what is and isn’t real, experience delusions, mania, or other forms of psychosis. 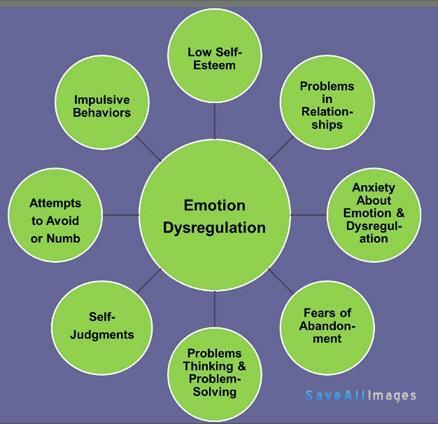 Emotional/neurotic disorders (including anxiety, non-psychotic depression, post-traumatic stress disorder (PTSD), obsessive–compulsive disorder). 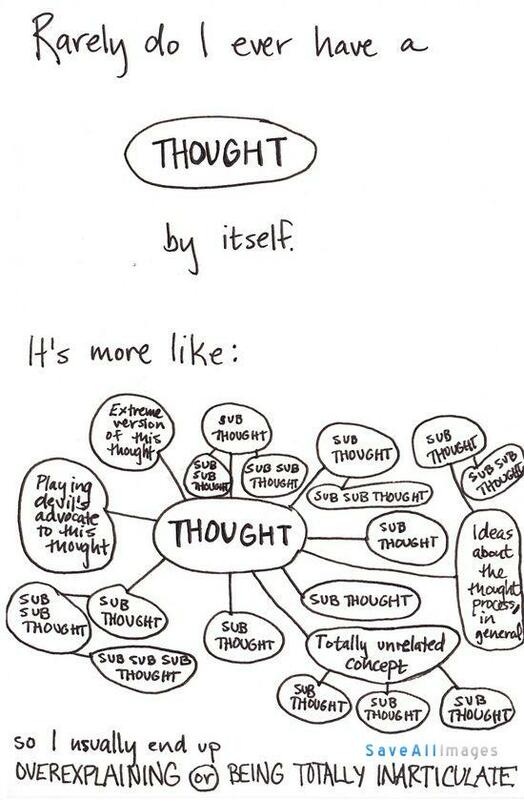 It does get very confusing because disorders often fall under multiple categories. For example ADHD and eating disorders can both also fall under ‘behavioural disorders’. Or you could group depression, anxiety and bipolar disorders together as mood (‘affective’) disorders. But whatever subgroups they’re in, they all still count as mental health disorders. Q: Isn’t ADHD a learning difficulty like dyslexia? A: No. It is often grouped with specific learning difficulties (SpLD) because the impairment is often first spotted at school. It is very common for people with ADHD to have a SpLD such as dyspraxia or dyslexia, and ADHD does impair functions like concentration and planning that influence a child’s attainment at school in a similar way to these types of neurodiversity. 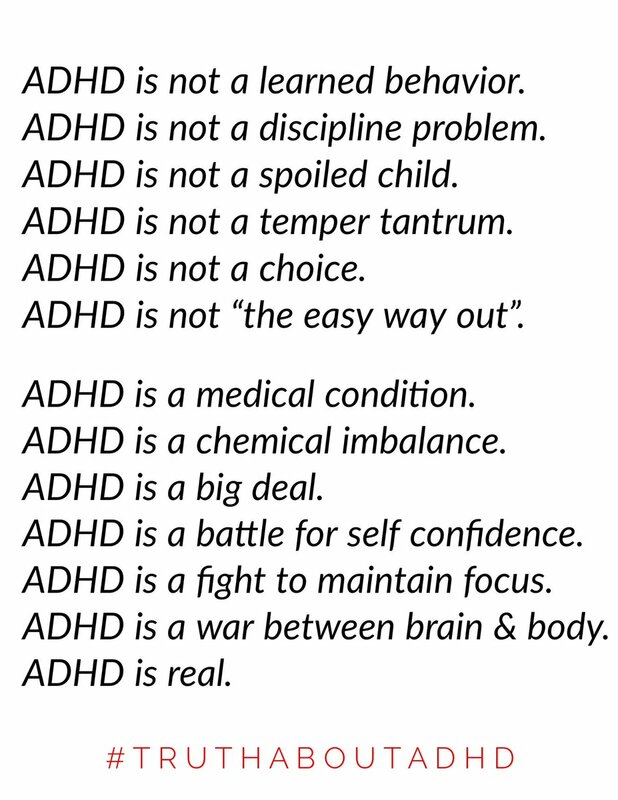 However, ADHD also affects things like mood and behaviour and by definition must impair multiple areas of a person’s life, such as daily activities, social and family relationships and psychological and physical well-being , not just the education/employment part. 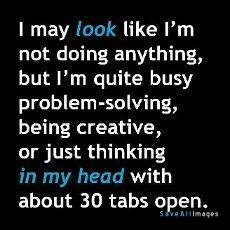 Q: Isn’t ADHD a behavioural disorder? 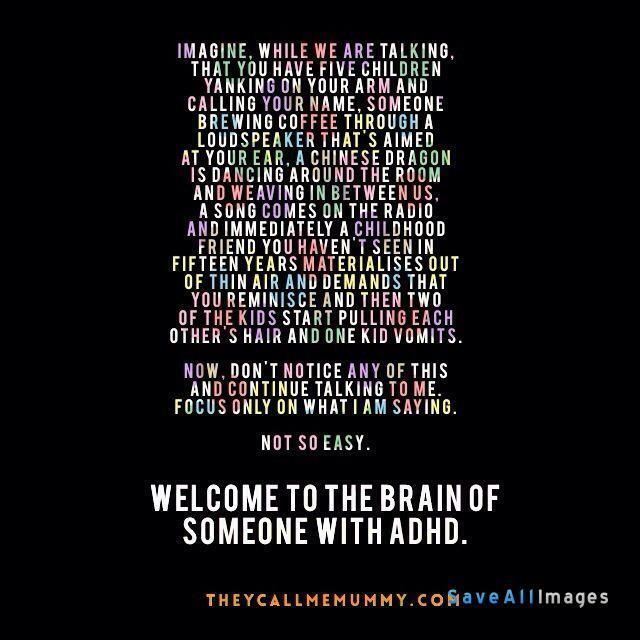 A: see ‘Is ADHD a mental health disorder’, above. 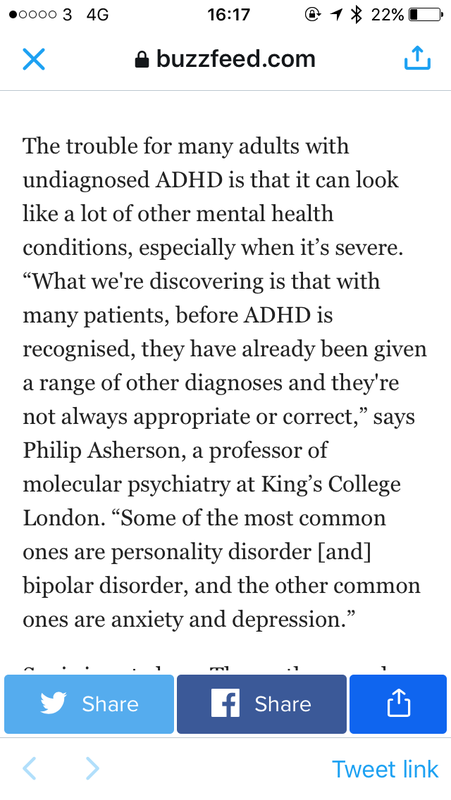 ADHD does impact on behaviour but this is true of many mental health disorders such as those listed under ‘behavioural disorders’ as well as others like eating disorders and obsessive-compulsive disorders… and most other mental health disorders. Q: Isn’t ADHD a developmental disorder? 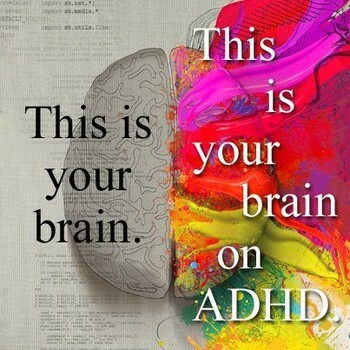 A: See ‘is ADHD a mental health disorder’, above. Whether ADHD can be categorised under the subheading of developmental disorder depends on your definition for a developmental disorder. ADHD is often categorised as a neurodevelopmental disorder, alongside Autism, Tourette’s, Schizophrenia and others, because it unfolds based on how the brain develops as it grows . ADHD is sometimes included under broad definitions of developmental disorders, alongside schizophrenia and antisocial behaviour that begins in childhood, because it begins in childhood, involves serious impairment and continues through life . Q: Isn’t ADHD caused by environmental factors? A: No, but it might have been influenced by them. There is no one cause for ADHD, instead there are a variety of risk factors that determine whether or not someone is born with ADHD. For example, there are clear biological aspects to the disorder, since ADHD has been associated with atypical brain development [40-42]. However, environmental factors may have an impact on this aspect of brain development – for example, brain damage in the womb or being born prematurely . 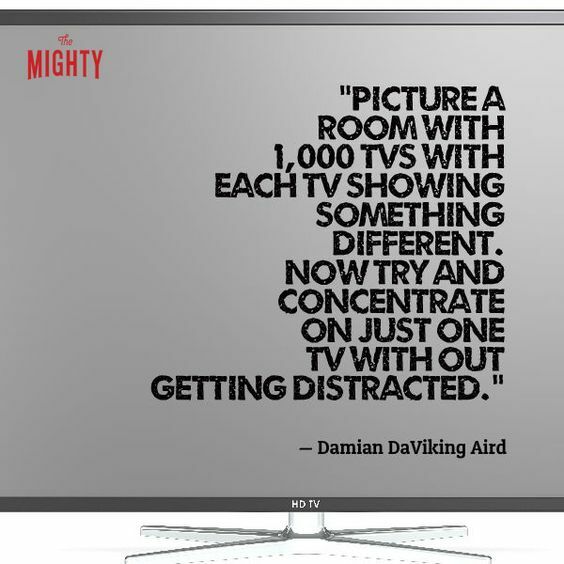 Q: Isn’t ADHD a product of our time – lots of things pulling at our attention, too much TV, etc? A: No. See ‘how long have we known about ADHD’. 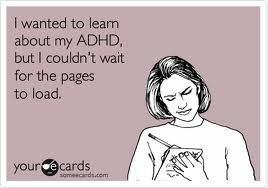 Q: I thought ADHD was just an excuse for bad parenting? A: It’s not. At all. In fact, throughout adolescence and even into young adulthood, ADHD has been associated with a substantial extra burden on carers, and its common for parents of people with ADHD to experience depression, anxiety and stress [66-68]. Q: I thought ADHD was caused by having a bad diet? A: All research papers that have suggested this have used unreliable or biased methods, meaning that their claims are either very weak or seen as invalid by NICE . Q: How long have we known about ADHD? A: We knew about ADHD before we knew about America . 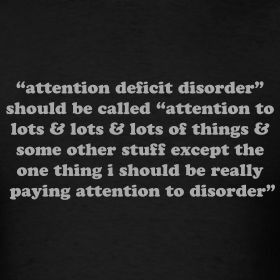 It is not a ‘new’ disorder or diagnosis. It is not a product of recent generations. Q: When did ADHD stop being a controversial diagnosis? A: In the 1990’s. This is because new neuroimaging techniques revealed that the brain structures of children with ADHD were different to others. The genetic component of ADHD, and the fact that it remains a persistent disorder into adulthood, were also recognised during this time . Q: Is ADHD a disability? A: You’re disabled under the Equality Act 2010 if you have a physical or mental impairment that has a ‘substantial’ and ‘long-term’ negative effect on your ability to do normal daily activities. A diagnosis of ADHD requires evidence of the individual being affected substantially (in at least two main aspects of their life) and for it to have been ‘long-term’ (evidence of it being pervasive during childhood) . So it has to be disabling you for you to get a diagnosis in the first place. Q: Sometimes people with ADHD don’t seem at all similar to each other. Are there different types of ADHD? A: Yes! 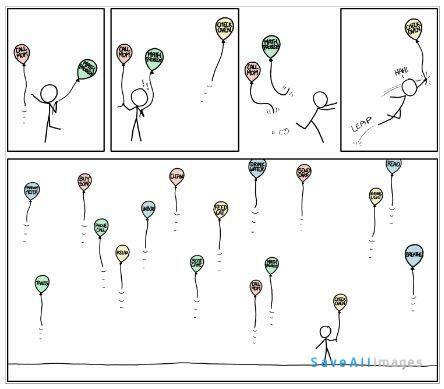 For example, lots of people who have ADHD aren’t hyperactive at all. Take a look at www.aadduk.org for more information. A: ADHD is often represented as a disorder that predominantly affects young, white, hyperactive boys. 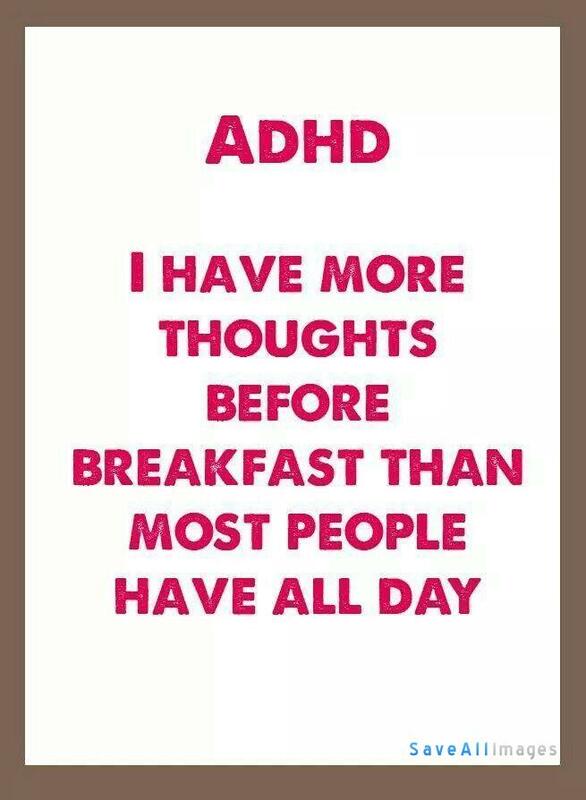 However, this is a stereotype, and ADHD is equally prevalent around the world regardless of race, gender, parenting styles, educational styles, and so on. Most people with ADHD continue to be impaired with it once they reach adulthood, but this is not always the case. 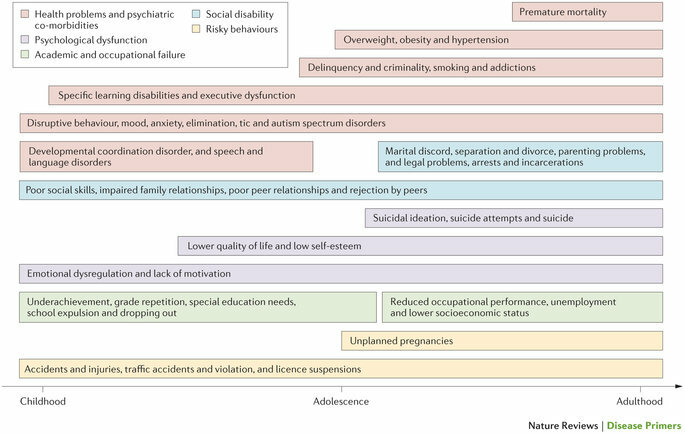 The impact of ADHD on life outcomes has found that ADHD is most often found in adults who have ended up under one or more of the following categories: unemployed people; those with substance misuse disorders; and previously married individuals , as well as younger adults; those living alone; people without educational qualifications; the unemployed and those who are economically inactive, especially those in receipt of disability-related out-of-work benefits . Q: How does the lack of support for adult ADHD end up costing the public a lot? 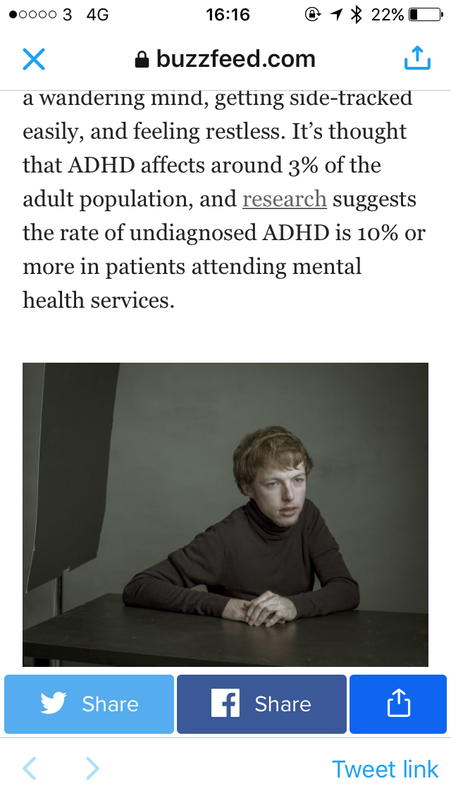 Q: What proportion of the long-term prison population are estimated to have ADHD? Q: Have the government received advice about this in the past? The NICE guidelines exist to recommend the most cost-effective and financially efficient options to treat different health conditions. The NICE guidelines on ADHD were published in 2008  and there have since been campaigns about putting them into practice. The World Health Organisation (WHO) also produced a paper (in 2012) calling attention to the needs of people with ADHD and the fact that they have been going unnoticed/ignored. This paper is extremely constructive, recommends specific and reasonable policies that would address the problems that we are currently facing, and also provided examples of best practice in other European countries (such as Spain and Germany). Q: Why might the government have ignored these suggestions? A: We can only speculate. But it’s worth bearing in mind that while there is a lot of stigma around ADHD from members of the public, a strategic politician would probably determine that doing more to support people with the disorder would be unlikely to earn them many extra votes, in fact it could even lose them votes. Politicians themselves may hold prejudiced views about ADHD which render them biased against it, given what we know about misconceptions about ADHD among opinion leaders in UK politics . It’s also worth knowing that there aren’t many people with ADHD in positions of influence over or within the government, maybe because there’s so much paperwork involved in that kind of job, or because the ADHD symptoms and characteristics of saying whatever is in your head without thinking first, taking risks, and relying on an adrenaline-fuelled working style don’t really match up with getting into politics. Q: Are there more specialised national groups who can provide support to adults with ADHD than our national mental health charities? UKAAN is a professional body that aims to support practitioners in rolling out the NICE clinical guideline 72 and establish clinical services for adults in the UK. In addition, UKAAN has developed a series of one day workshops aimed at mental health professionals providing Diagnosis and Assessment and Pharmacological treatment of Adult ADHD. 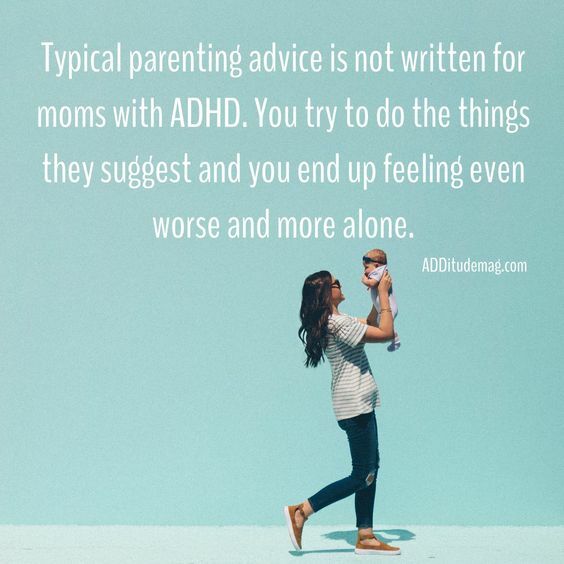 Therefore unless you’re a mental health professional, UKAAN does not aim to support you with Adult ADHD. Furthermore, there being specialised groups who could provide information isn’t a reason for our national charities to refuse to acknowledge a mental health disorder. For example Bipolar UK provide specialised knowledge about Bipolar disorder but there is still information about Bipolar disorder available on our national mental health charity websites. Q: Does it matter that it’s so stigmatised? Is it really that big a deal? “findings from nationally representative data sets, experimental investigations, surveys, and qualitative studies indicate that individuals of all ages who exhibit symptoms of ADHD are the recipients of substantial stigmatization” . “patients suffering from ADHD are at high risk to be confronted with stigma, prejudices, and discrimination” . 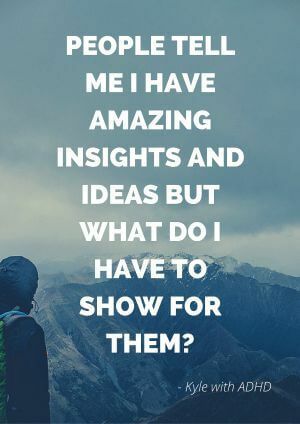 “The contribution of stigma associated with ADHD can be conceptualized as an underestimated risk factor, affecting treatment adherence, treatment efficacy, symptom aggravation, life satisfaction, and mental well-being of individuals affected by ADHD” . Q: What support is available for adults with ADHD in the UK? Does it match up to the NICE guidelines? A: No. Although many adult mental health services are taking more interest in the assessment and treatment of adults with ADHD, current service provision is poor . There are very few specialist mental health services in the NHS for adults with ADHD despite how much evidence there is for how effective they’d be, and as a result, ADHD is underdiagnosed and undertreated in the UK, and referral pathways can be complicated . Young people often leave children’s services with no readily identifiable adult service to support them . Even though the guidelines were published 8 years ago, and despite the fact that (due to large advances in research) the diagnosis is no longer controversial, too many adults are still finding it difficult to access services for assessment and treatment and there are still too few psychological services. It is also disappointing to note that the growth in private psychiatric and psychological services has outstripped the growth in NHS mental health services; although we recognise that the latter is due in part to the Government’s lack of adequate funding for mental health services.